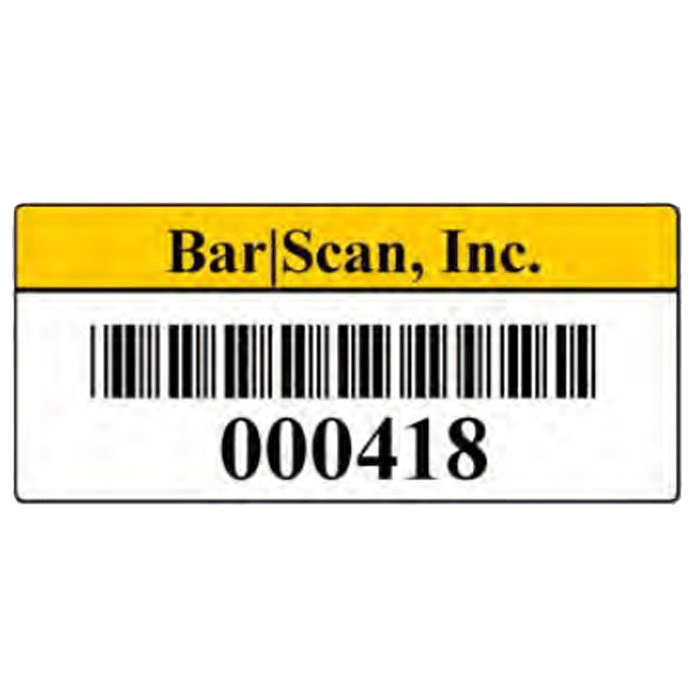 Bar|Scan can provide you with quality I.D. nameplates and bar codes for your labeling requirements. 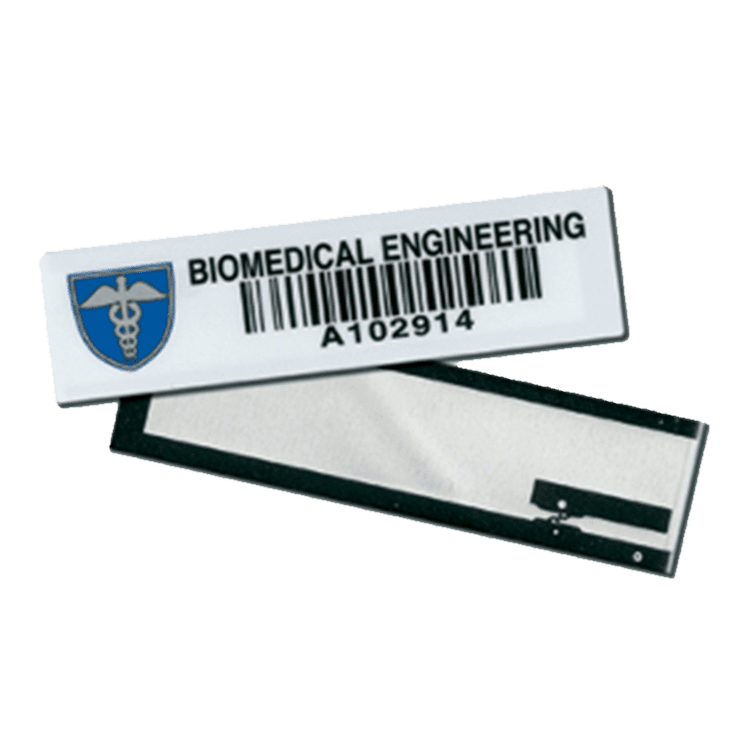 Whether for the office, laboratory, industrial, or harsh outdoor environment, Bar|Scan can supply the identification label you need. Choose from polyester, premium polyester, aluminum, plastic, foil, metal, and ceramic options. Laminated coating keeps the label protected from damaging elements. For the ultimate protective coating, Teflon coated labels withstand chemical solvents and extremely high temperatures. Rivet holes can be drilled upon request. Two to five day express service available for an additional fee. 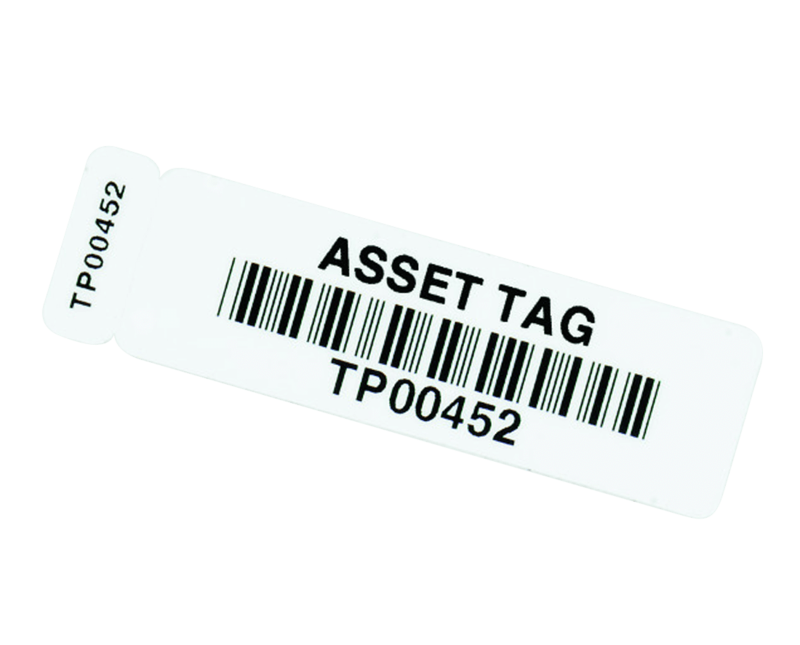 A unique label that’s twice as effective for tagging and tracking your assets. Each set consist of two labels: an overall label for marking shipments with a permanent marking pen, plus a smaller bar code label that you apply directly to your fixed assets. Attach the Label to an asset’s shipping carton for efficient identification at the receiving point- without the hassle of removing and repackaging. Once the carton arrives at its destination, unpack the contents. Then peel off the smaller ID label and it’s ready to be permanently affixed to the asset. 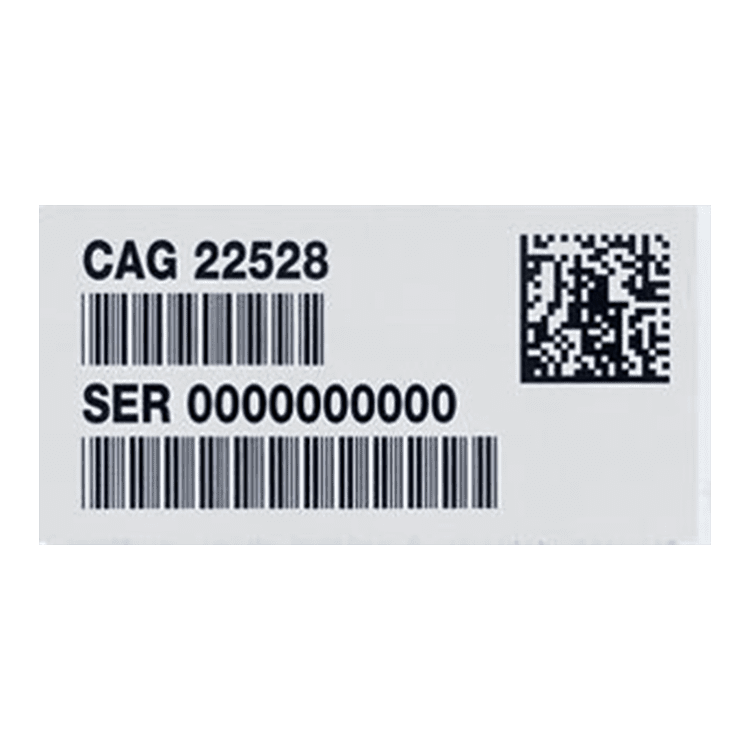 Bar|Scan can provide you with durable, reliable RFID labels designed for fixed and mobile assets such as containers or pallets. Optional foam adhesive allows for adherence to metal surfaces without RFID interference. Optional bar code allows flexibility in your supply chain. Bar|Scan can provide you with UID labels for your DoD mandated requirements. UID is a standard for the Department of Defense (DoD) mandating a new globally unique “part identifier” containing data elements used to track items throughout their lifecycle. Contact us if you require more specifics. Printing your own labels? Call 1-800-414-SCAN for a quote on blank polyester labels.